Your sense of hearing is a vital link to your world— a source of pleasure, information and communication. A hearing assessment by a qualified hearing care professional is an important step in learning more about your hearing capabilities. If you struggle to hear, there is something you can do to take control of the situation. Your hearing should not get in the way of enjoying your life. If you have never visited a hearing care professional you probably don’t know what to expect. 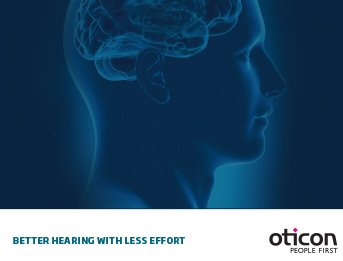 You are in for a pleasant experience that is interesting, informative and a great start on your path to better hearing. You should feel at ease during this visit because you will have an opportunity to better understand your hearing needs and explore possible solutions. 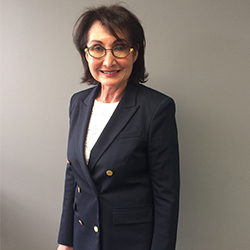 Once you arrive for your visit, your hearing care professional will discuss your hearing history to understand what factors have influenced your hearing and also to get more information on your personal hearing needs. In addition, a hearing examination will be conducted. The visit may also include a listening experience with hearing devices, when appropriate. After your professional has interpreted the results of your hearing evaluation, he/she will explain them to you clearly. It will then be time to develop a plan for the next steps. 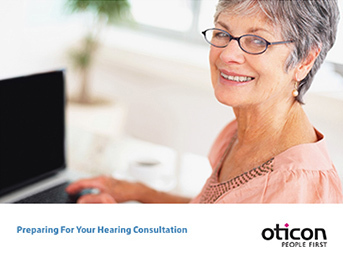 If you have a hearing loss, hearing devices may be recommended. People have an amazing ability to sort through rapidly changing information and automatically make sense of what is happening. Hearing functions as a system - two ears and one brain. The ears take in a constant stream of sound information, and the brain identifies and recognizes meaningful patterns. To interpret sounds correctly, the information our brain receives must be as accurate and as detailed as possible. If it’s noisy, when there are many people talking at once, when we are learning new things, or when we’re tired, we must pay closer attention to hear and understand. Challenging situations and hearing difficulties interfere with this process. Of all the sounds we hear, speech is probably the most important to us. Its characteristic patterns and rhythms distinguish it from all other types of sound. Speech rises and falls in volume and pitch; it conveys meanings and emotions. Even infants can tell the difference between speech and other sounds and quickly learn to identify familiar voices. Small differences in sound patterns can make large differences in meaning. The brain relies on these subtle differences to avoid confusion. To understand what is being said, we must know the language and hear each sound pattern clearly.